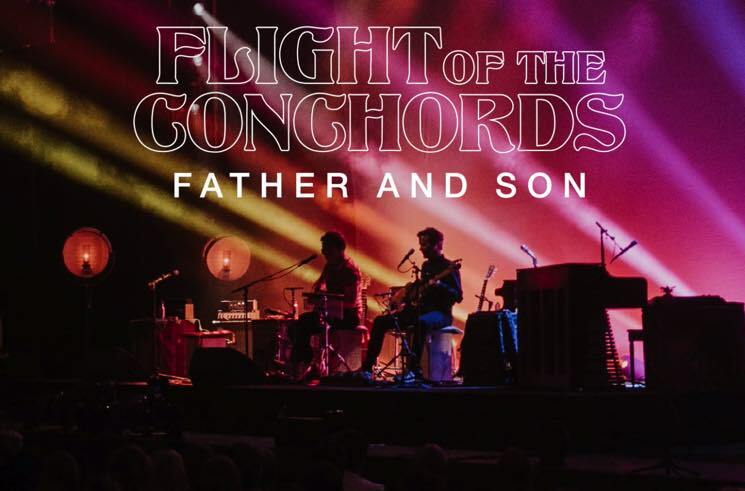 Flight of the Conchords' Bret McKenzie and Jemaine Clement teased a new song called "Father and Son" earlier this fall on The Late Show with Stephen Colbert, and now the official version from the duo's Live in London HBO special has been released. The song hears the New Zealand comedy pair playing the title characters, reminiscing about fun family moments — until we learn the truth about where the little guy's mom really went. Now featuring some piano backing, the special version of the song can be streamed below.